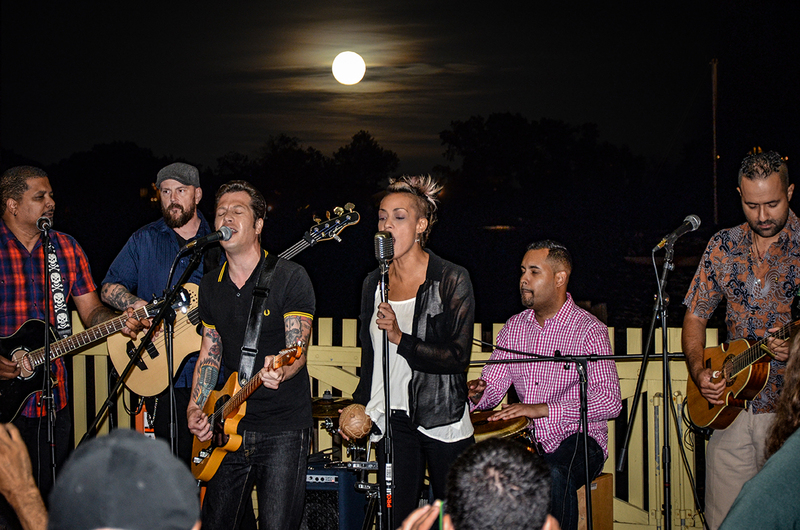 Perth Amboy Artworks Live at the Ferry Slip Music Series is going into its fourth season. 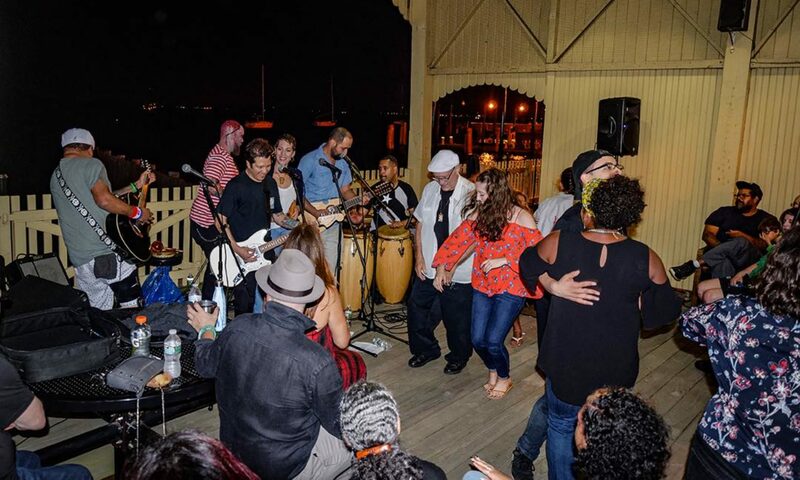 We transform the Historic Perth Amboy Ferry Slip into a live music venue directly on the water with beautiful views of Raritan Bay. The 2019 lineup features exciting local & regional bands and singer/ songwriters. Perth Amboy Artworks sponsors murals to add vibrancy to Perth Amboy. 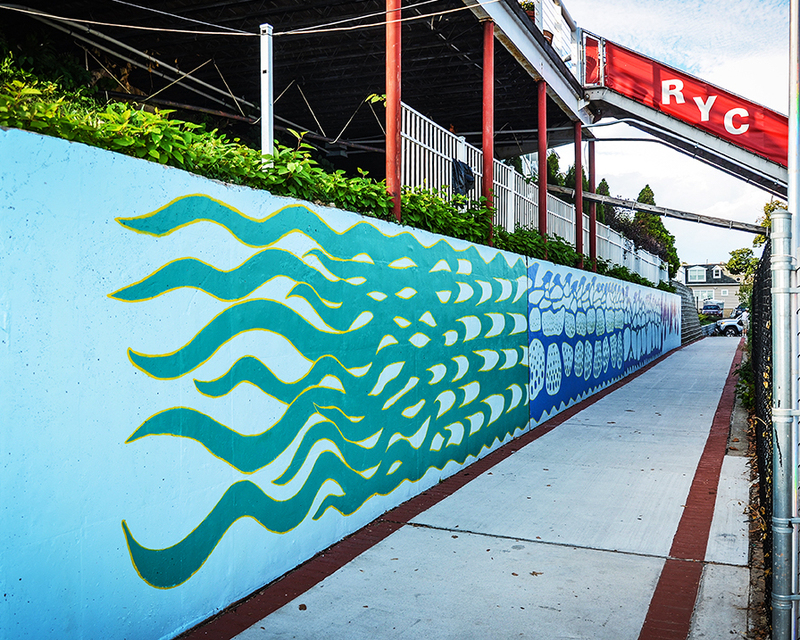 In August 2016, Perth Amboy Artworks sponsored a 650 ft. mural created by a local Perth Amboy artist to cover a blank wall and complete the beautification of the public walkway that had deteriorated due to Superstorm Sandy. We are also working on a collaboration with the City of Perth Amboy for a Catch Basin Murals Project, where artists paint murals on the catch basins to raise awareness about keeping them clean to protect the environment and stop litter and debris from entering our stormwater infrastructure and waterways. 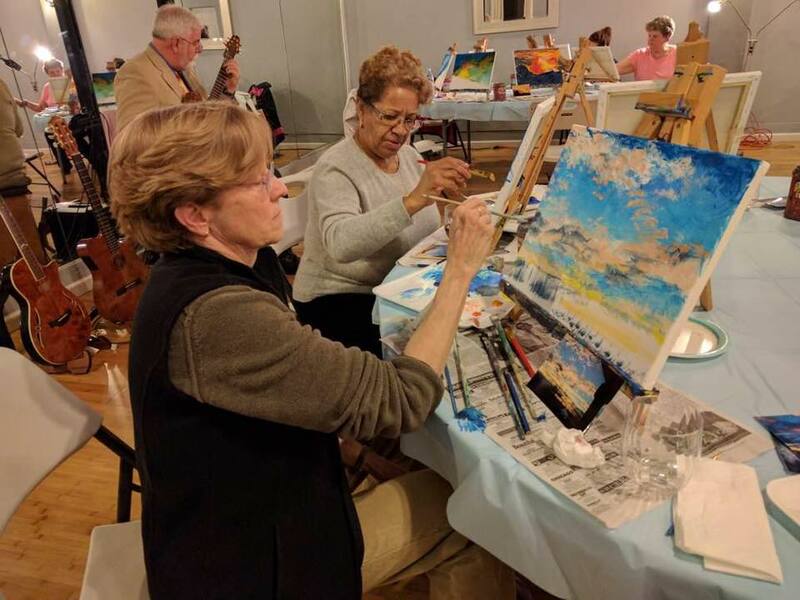 Perth Amboy Artworks hosts Paint and Sip Events. On April 6, 2017 we hosted a relaxing evening painting nautical sunsets in a downtown venue at 289 High St with live music and delicious food. Perth Amboy Artworks hosts Pop-Up Cinema, screening award winning films at venues around the city and also hosts directors and actors in conversation about the films. In October 2016, we hosted the award winning indie thriller FACES. Director, crew and cast members were on hand to talk about the film. Artists, musicians, writers, photographers, filmmakers! We go to Career Day events. 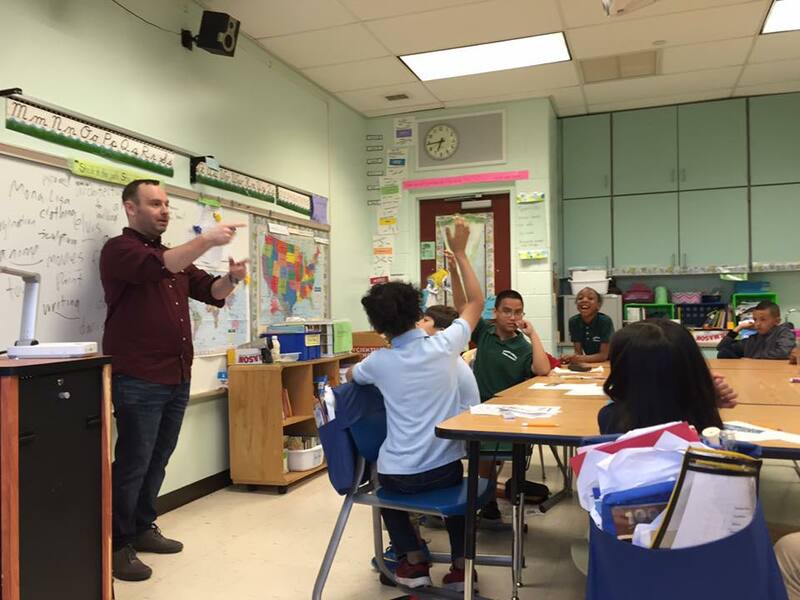 This is a photo from Career Day at Wilentz School in Perth Amboy, artist Jonathan Horowitz talking to kids about what careers involve art! Good times! 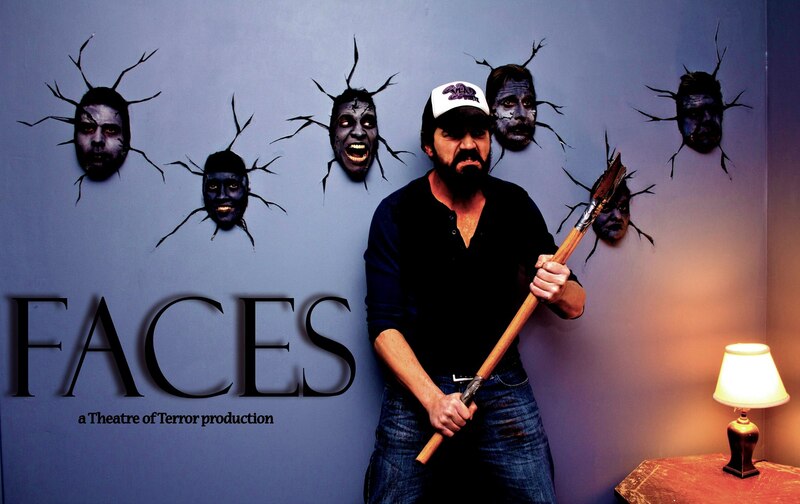 Photos courtesy of James Erwin, Rose Almasi, and Theatre of Terror.